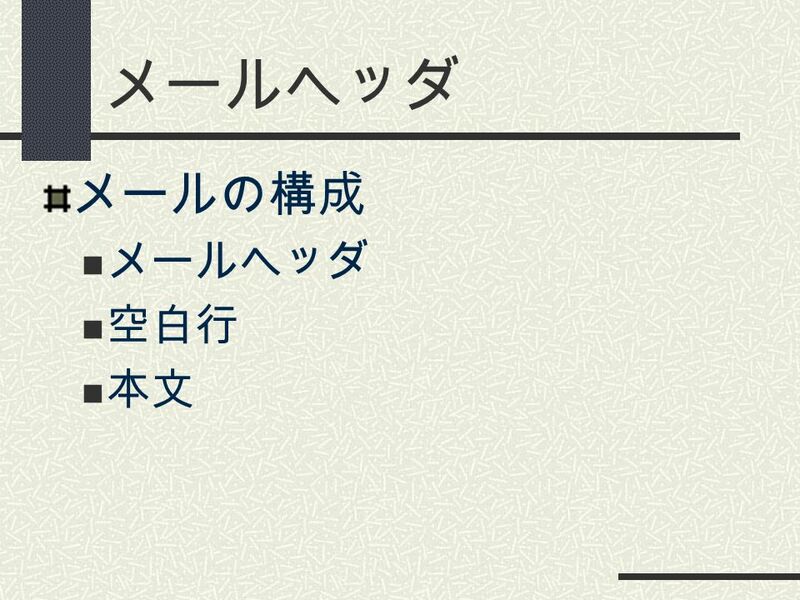 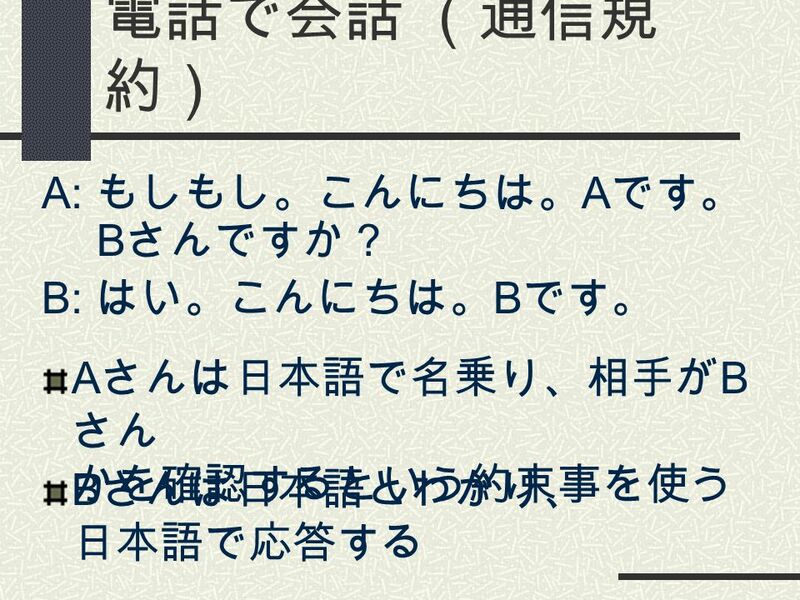 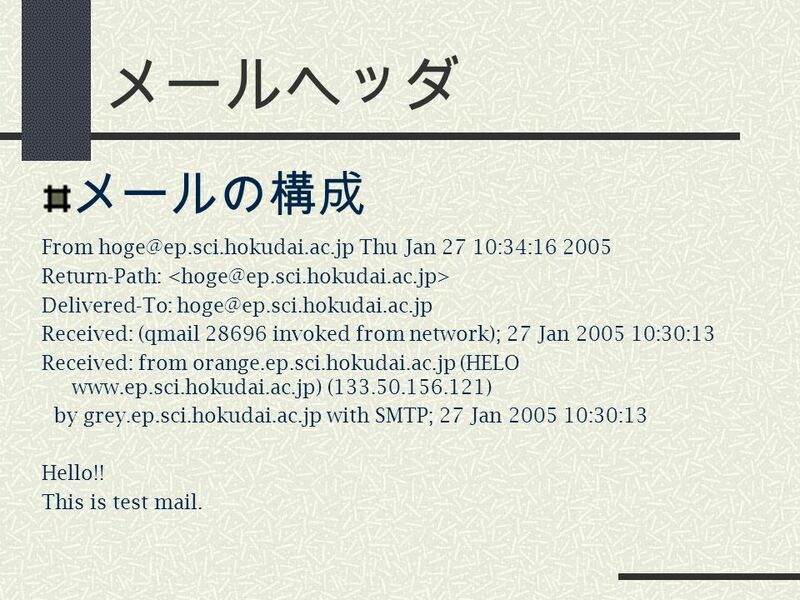 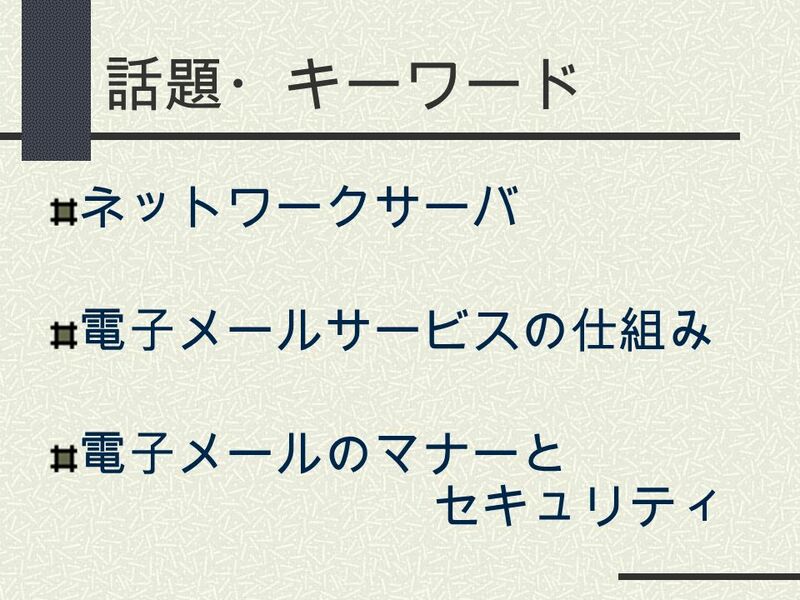 16 メールヘッダ メールの構成 From hoge@ep.sci.hokudai.ac.jp Thu Jan 27 10:34:16 2005 Return-Path: Delivered-To: hoge@ep.sci.hokudai.ac.jp Received: (qmail 28696 invoked from network); 27 Jan 2005 10:30:13 Received: from orange.ep.sci.hokudai.ac.jp (HELO www.ep.sci.hokudai.ac.jp) (133.50.156.121) by grey.ep.sci.hokudai.ac.jp with SMTP; 27 Jan 2005 10:30:13 Hello!! 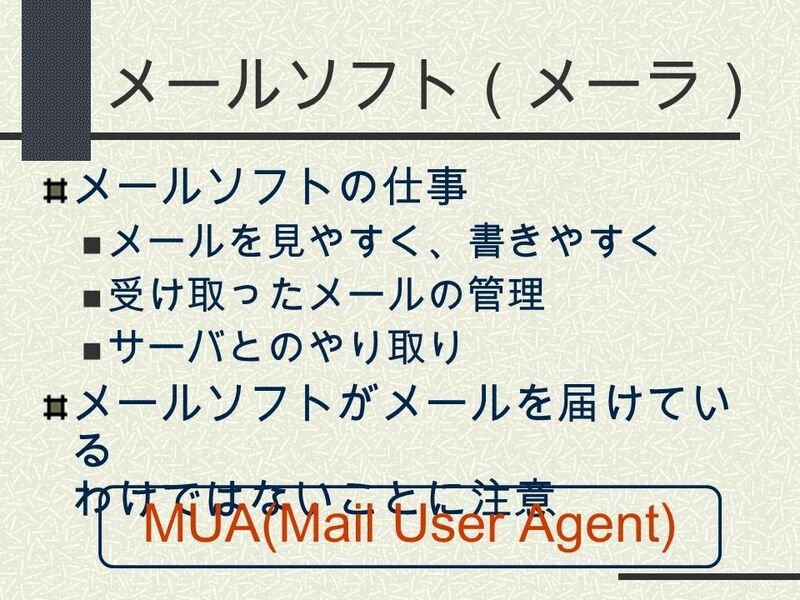 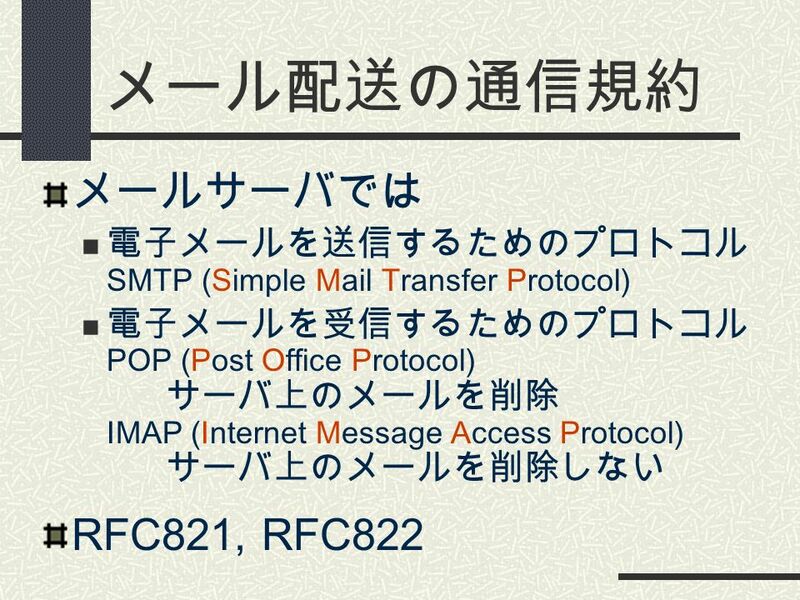 This is test mail. 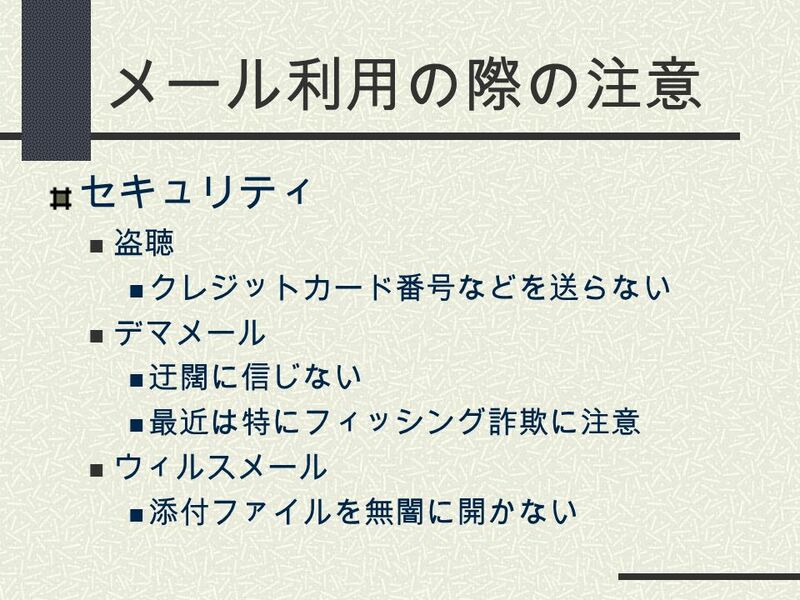 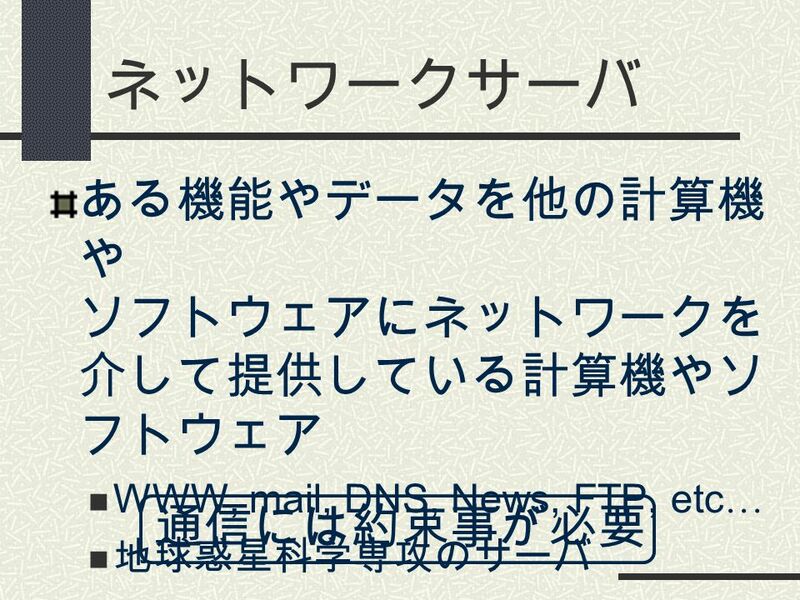 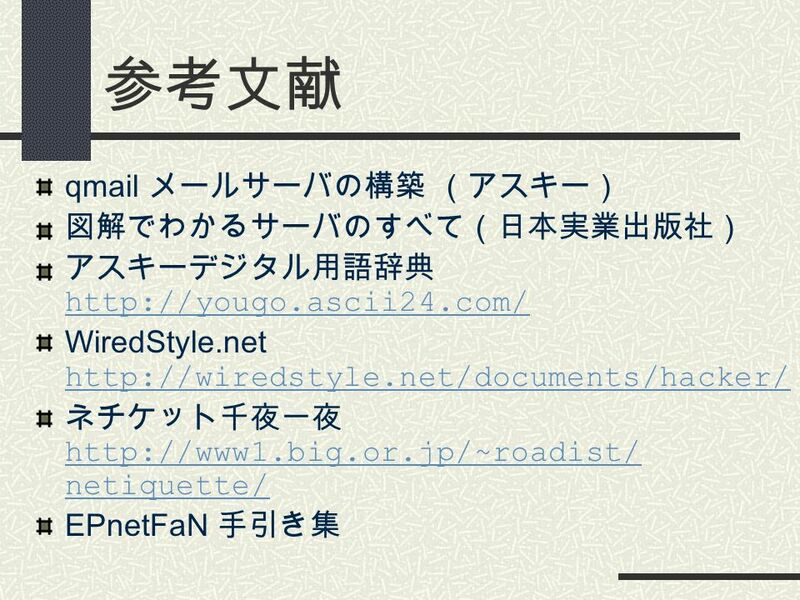 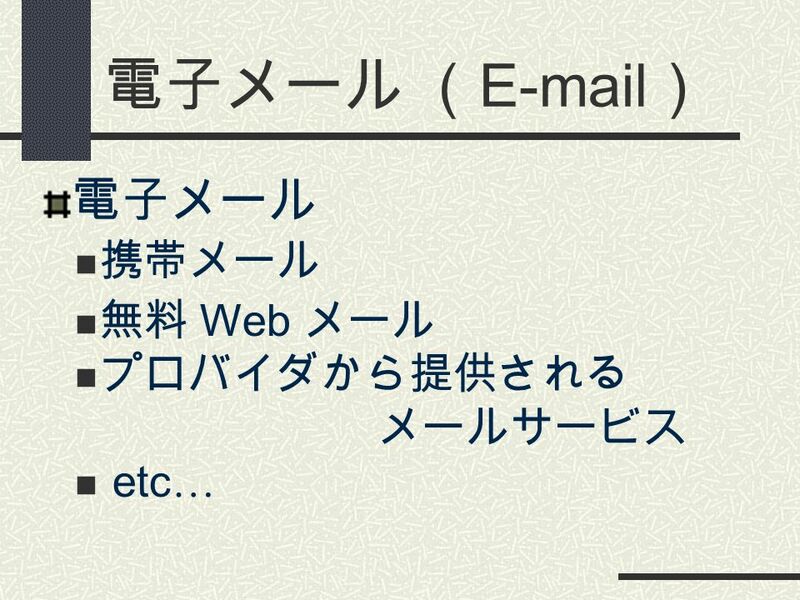 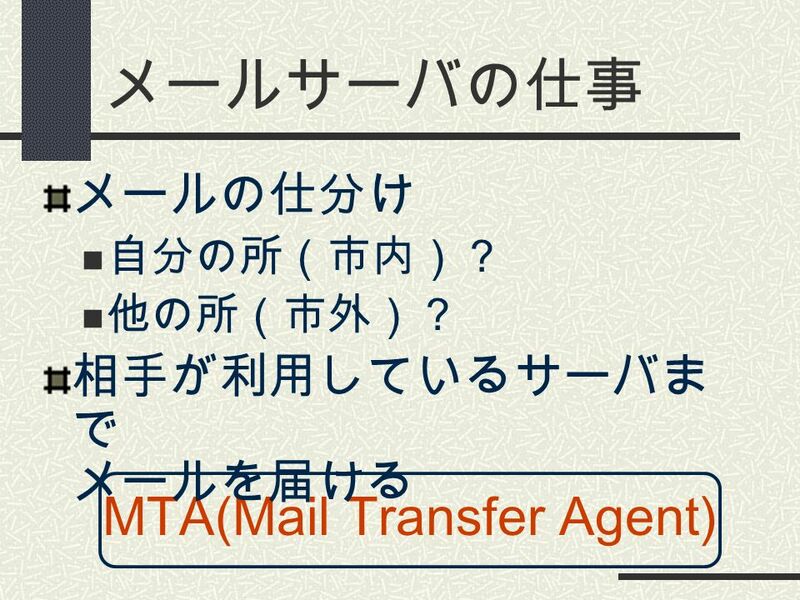 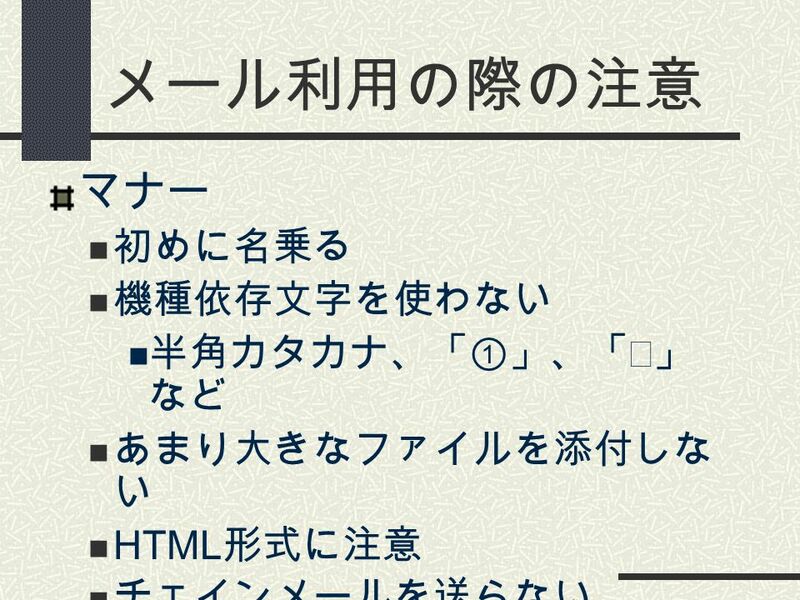 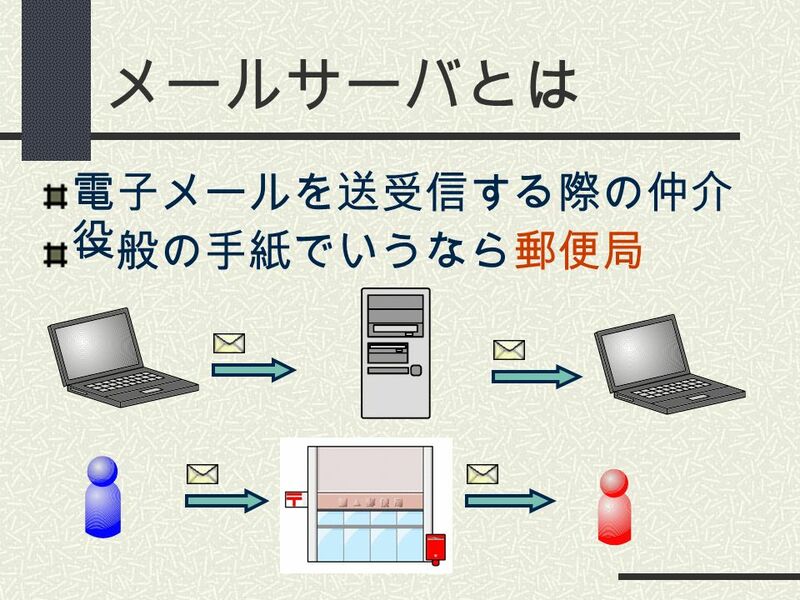 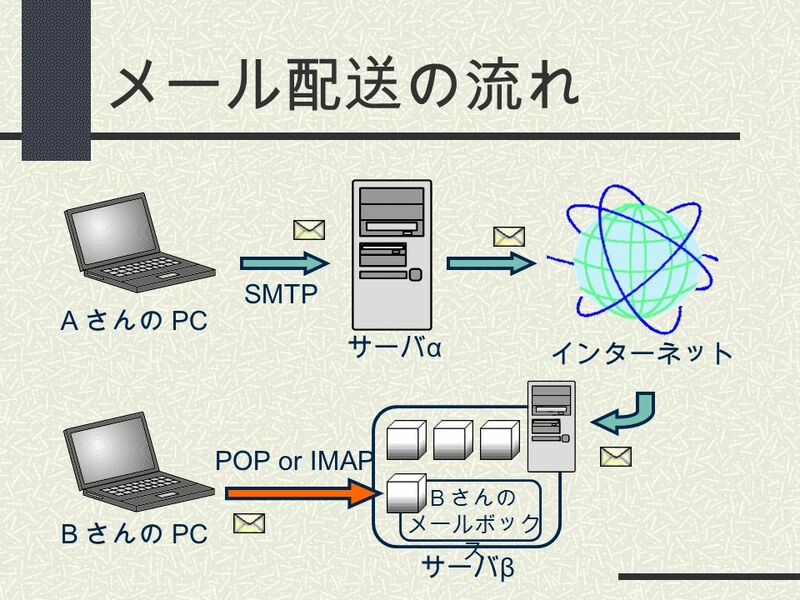 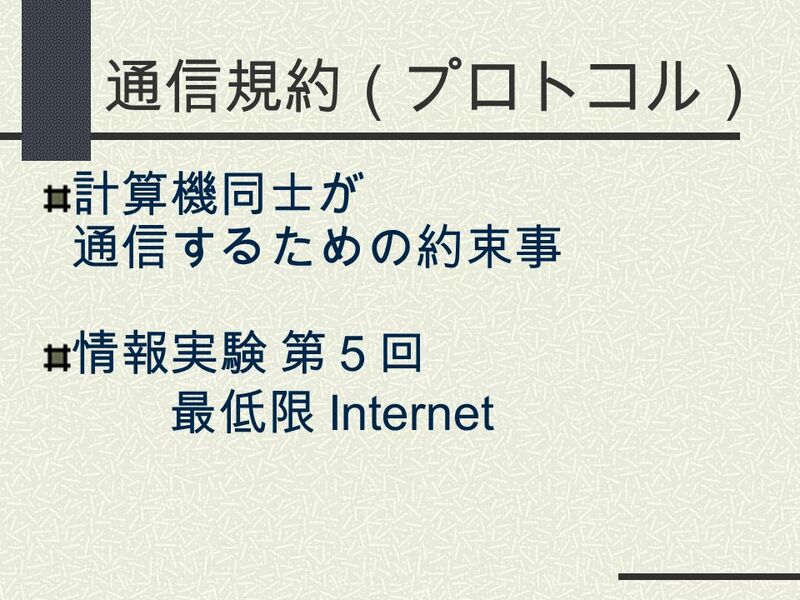 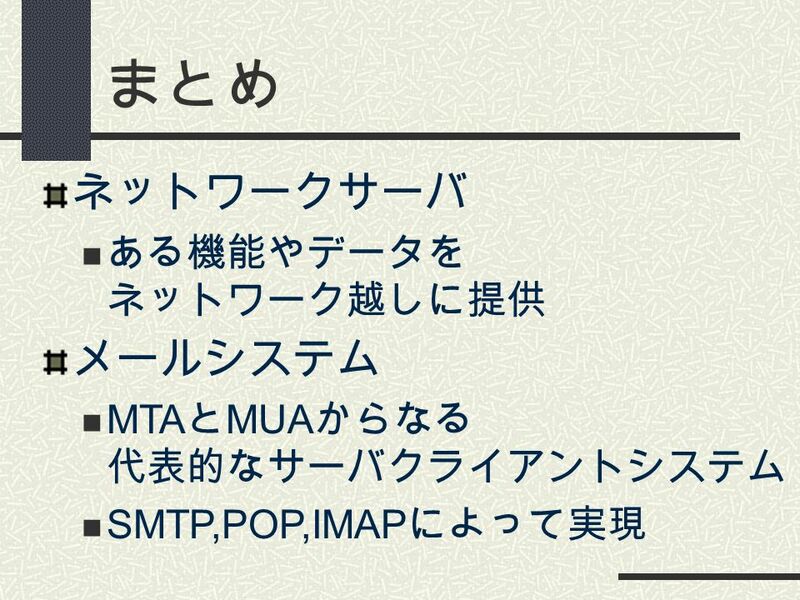 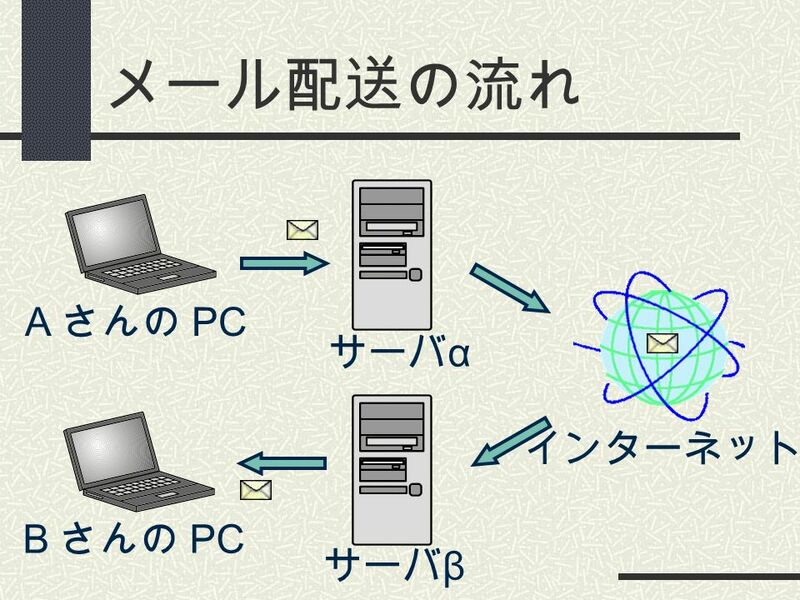 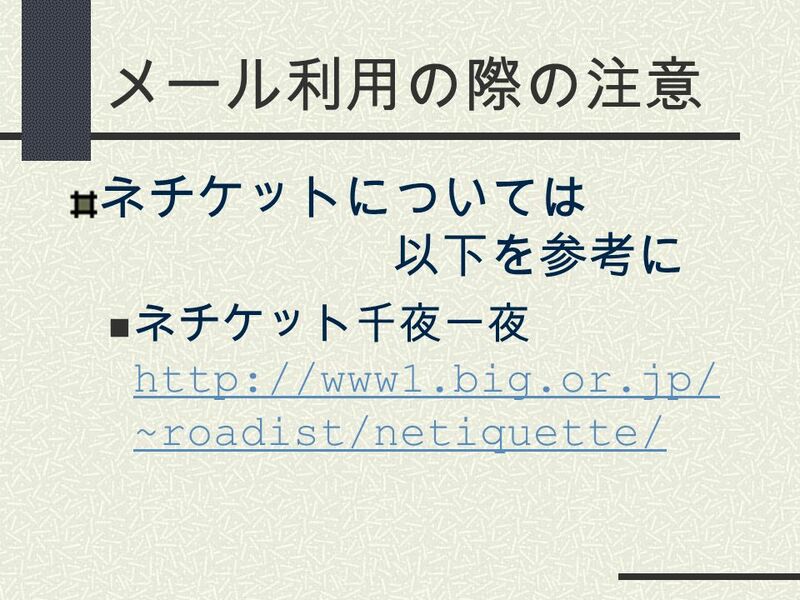 Download ppt "インターネットサーバ と メール配送の仕組み 情報実験 第 13 回 2005/01/28 Last Modified: 2005/01/28K.Michimasa Original: 2004/01/30K. 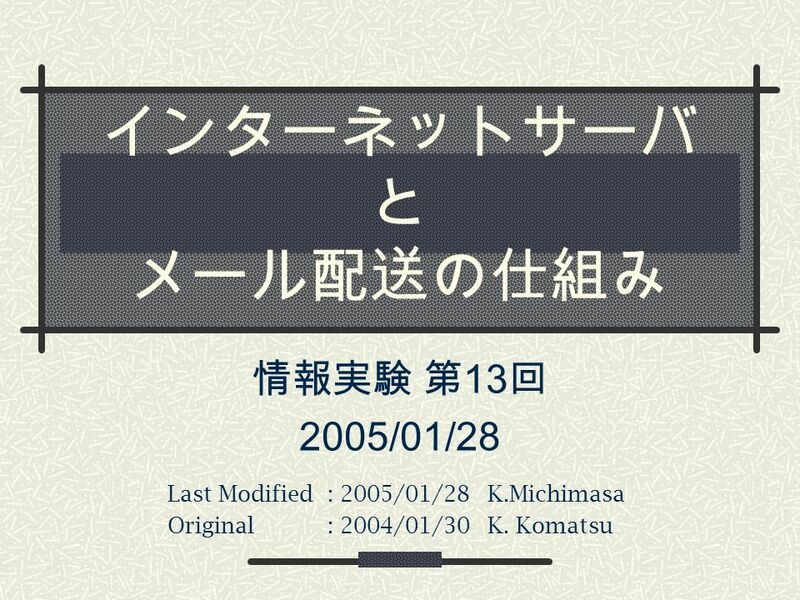 Komatsu." 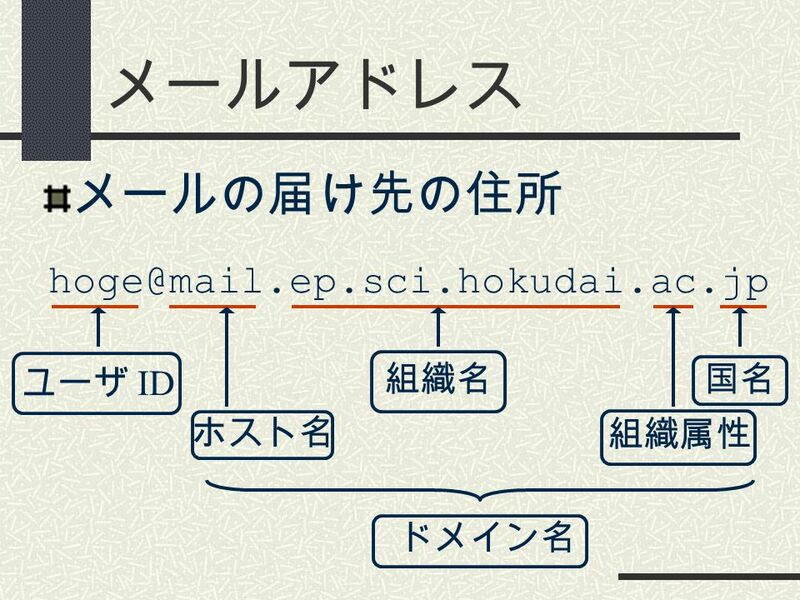 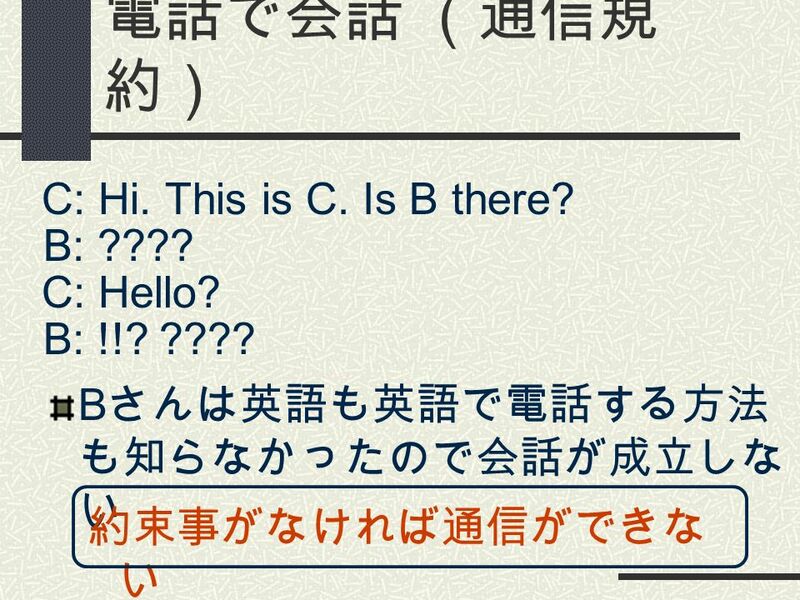 EpDNSサーバ 北海道大学 理学院 宇宙理学専攻 M1 古田裕規.